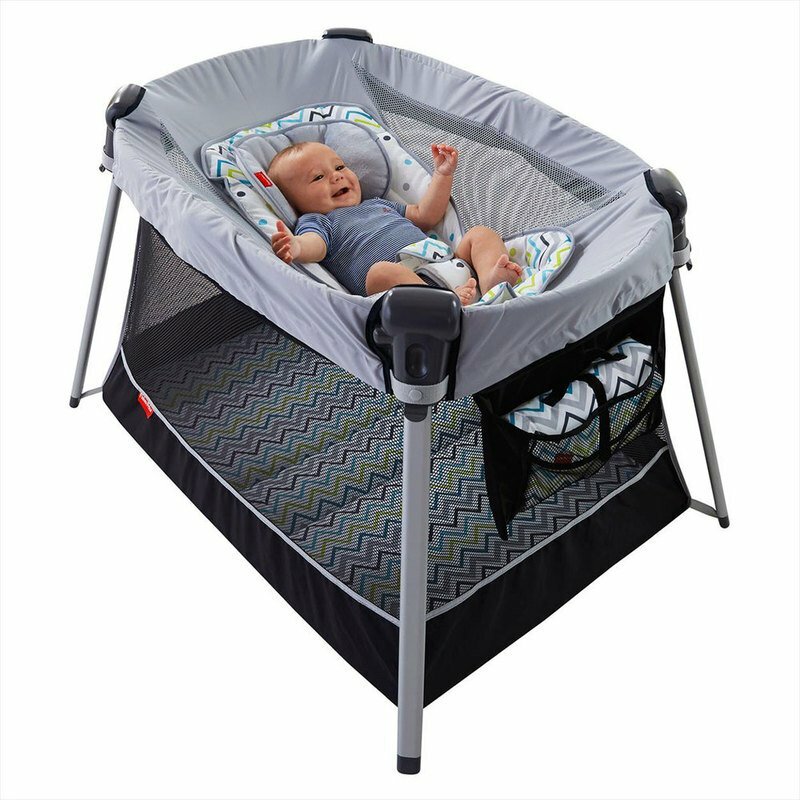 Take some weight off your shoulders with a portable play yard that’s just half the weight of other popular play yards, with all the same great features, and more. It’s everything you and baby need to play, sleep, change and repeat —at home or on the go! At only 15 lbs, it’s super lightweight and easy-peasy to take down, pop up and pack away in just a few quick, simple steps. A supportive seat back, cushioned head support and three-point restraint keep baby comfy in the inclined sleeper – the way lots of babies sleep best. 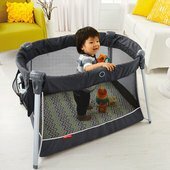 Remove the sleeper and it becomes a roomy space for older babies and toddlers to rest, relax and play. Too-good-to-be-true details include a padded platform that fits any standard-size crib sheet and a built-in play yard storage pocket that holds a portable changing station diaper clutch—great for quick and easy diaper changes at home, or on the go. Plenty of room to BYO diapers!